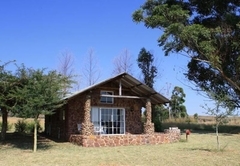 Bateleur Nature Reserve is a property providing self catering in Modimolle for tourists visiting the Waterberg region. 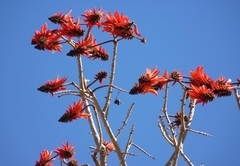 Bateleur Nature Reserve offers accommodation in Modimolle and is famous for its SAHTOA accredited Stamvrug Hiking Trails which consist of seven different trails, laid out amongst the Waterberg Kloofs and Escarpments. 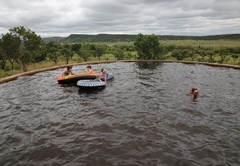 The reserve is best explored on foot and guests have the freedom to explore the gorges and rocky krantzes of the Waterberg, or go swimming in the clear bilharzia free rock pools. 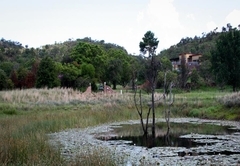 Bateleur Nature Reserve has six self catering cottages all comfortably furnished. Our accommodation, mainly old farm houses with old furniture, is comfortable and clean, but not luxurious. This unit is situated on a North-facing gradient looking North-East and is suited for three guests. 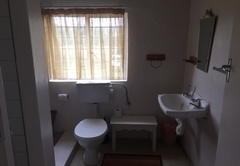 Furnished with a double bed and a single bed the cottage is well equipped for self catering. The seperate bathroom has a bath and shower. 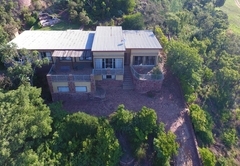 The wrap around patio provides breathtaking views of the Waterberg and there is a well equipped braai area under the trees. Vaalboom C is a comfortable three sleeper for the budget conscious couple. 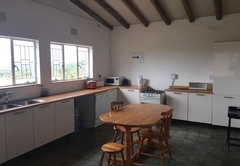 It is fully equipped for self catering and is furnished with a double bed and a single bed. The separate bathroom has a shower. All linen, crockery, cutlery and electrical kitchen equipment is provided. 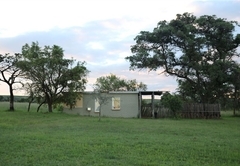 It has an outside braai area and a lovely view across the Savannah and the Waterberg Mountains in the distance. 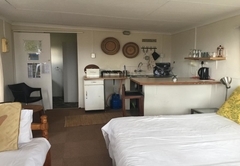 Previously known as Lone Hill Lodge, this is a modern, spacious four bedroomed house with an unspoilt 360° view of the surrounding Waterberg mountains. 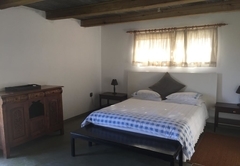 The farmhouse can accommodate 10 guests and has three bedrooms as well as a fourth bedroom in an adjacent flatlet. 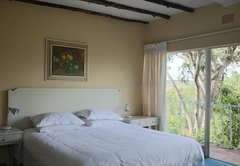 The main bedroom is en-suite and is furnished with a double bed and a single bed with an en-suite bathroom. Bedroom 2 has two single beds and Bedroom 3 features three single beds. These rooms share a full bathroom. 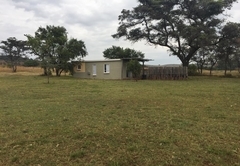 The large modern kitchen is fully equipped for self-catering and the spacious lounge/dining room leads to a wrap-around porch with a braai area. 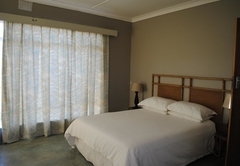 The adjacent flatlet is private and cozy with one double bed and an en-suite bathroom. Linen is provided, but no towels. Set among huge blue gum trees, this quaint two-bedroom cottage sleeps up to seven guests in three bedrooms. 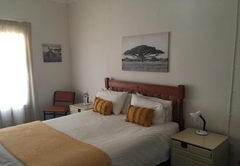 The main bedroom is furnished with a double bed and the other two rooms have single beds in each. There is only one bathroom which has a toilet and shower. Clean linen is provided in all bedrooms, but no towels. 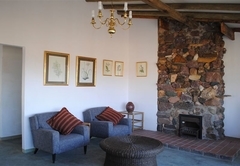 There is a spacious lounge / dining room with an open fireplace and outside braai lapa. Carved high into the mountainside with a breathtaking view of the plateau nestles this spacious villa. The unit can accommodate up to 12 guests and has five bedrooms and two bathrooms. The main bedroom has an en-suite bathroom and is furnished with a King-size bed and a single bed. The other three rooms feature two single beds in each and the last room has three single beds. Clean linen and extra blankets are provided, but no towels. 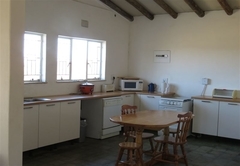 The large kitchen is fully equipped for self catering and braai equipment is provided. There is no TV and no Wi-Fi. Apart from its breathtaking view of the Waterberg Mountain range, Mispel Cottage 5 overlooks a watering hole. Visitors can expect to see most game from their front patio! 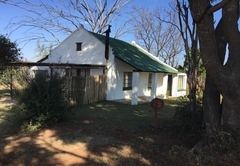 The cottage can accommodate six guests in two bedrooms, both of which have an en-suite bathroom. 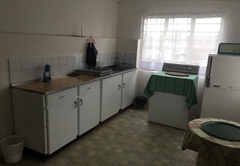 One bedroom is furnished with a double bed and the other has three single beds. There is also a single bed in the lounge. The fully equipped kitchen is part of an open-plan layout, which includes a living and dining area. Braai facilities are provided. 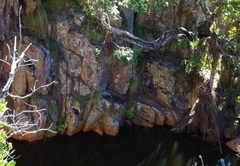 Bateleur's main focus is an enjoyment of the natural environment. We cater for nature lovers and outdoor enthusiasts like hikers, mountain bikers, birders and those who seek refuge from city life. Limited 4 x 4 and horse riding can be arranged. 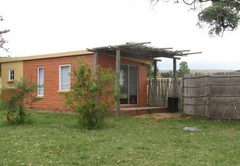 This comfortable, self-catering unit is situated on a North-facing gradient looking North-East. 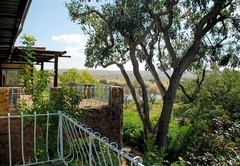 A Wrap around Stoep provides you with breathtaking views of the Waterberg. 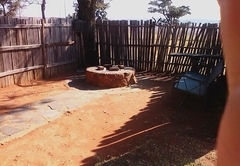 You will find a well equipped braai area under the trees. Vaalboom C is a comfortable 3-sleeper for the budget conscious couple. 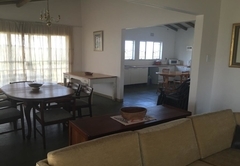 It is fully equipped for the Self catering with all linen, crockery, cutlery and electrical kitchen equipment. 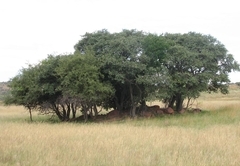 Situated in the Game Breeding Camp you can expect Game on your stoep. 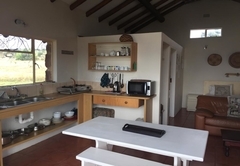 Previously known as Lone Hill Lodge, Farmhouse is a modern, spacious 4-bedroomed house with an unspoilt 360 degree view of the surrounding Waterberg mountains. 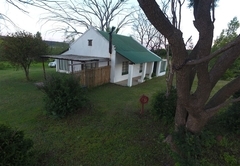 This quaint two-bedroom cottage sleeps up to 7 and is situated among huge Bluegum trees. Is has a spacious lounge/dining room with an open fireplace and outside braai lapa. Carved high into the mountainside with a breathtaking view of the plateau, the upper wetland and typical Waterberg mountain scenery, nestles this spacious villa. Mountain Villa has a large dining-room/lounge and a family- or conference room. Apart from its breathtaking view of the Waterberg Mountain range, Mispel Cottage 5 overlooks a watering hole. Visitors can expect to see most game from their front stoep. It has two bedrooms, both en-suite. We stayed at Mispel. 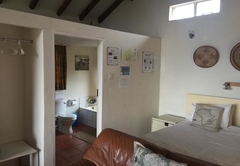 Accommodation was clean and well equipped for self catering. There were a few minor items missing like an egg lifter and a cork screw. Mispel is advertised as a 6 sleeper but is only really suitable as a 4 sleeper for 2 couples. It has 2 en suite bedrooms - a 3rd bed in one room and 1 bed in the lounge/kitchen area. Maintenance can also be improved - loose toilet seat - toilet does not flush properly - some lights do not work. Scenery in the reserve is fantastic. Many birds - number and variety of game a bit disappointing - many beautiful dams - but no water birds - why?? Overall a worthwhile experience. Response timeBateleur Nature Reserve typically responds to requests in 5-10 minutes.